Added on May 17, 2013 by Loudon Perry Anderson. We are proud to announce that the Ellerines Holding Limited Distribution Centre we completed for Growthpoint Properties in 2012 at Greenbushes, Port Elizabeth has also won a 2013 SAPOA Excellence Award for Industrial Property. 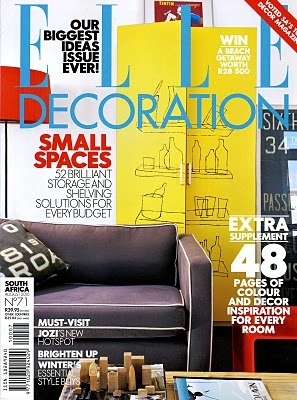 The corresponding Cape Town Ellerines Distribution Centre we completed in 2011 won the same award last year. More information on the award can be found at the South African Commercial Property News website. Added on May 9, 2013 by Loudon Perry Anderson. We have designed a new family home high up on the slopes of Signal Hill in Tamboerskloof. Expected completion is mid-2014. Added on March 12, 2013 by Loudon Perry Anderson. The Observatory Houses are featured in the current issue of the Digest of South African Architecture (2012). Added on January 7, 2013 by Loudon Perry Anderson. Construction has completed on the new distribution centre and head offices for Fruit & Veg City at Brackengate Industrial Park, Brackenfell. Click on the images below for a slideshow. Added on October 23, 2012 by Loudon Perry Anderson. Construction has begun on a new distribution centre and head offices we designed for Fruit & Veg City at Brackengate Industrial Park, Brackenfell. The project is a design and construct venture with Granbuild. Completion is in October 2012. Added on October 1, 2010 by Loudon Perry Anderson. We are proud to announce that we recently won the 2010 South African Institute of Steel Construction Mining and Industrial category award for the SACD Freight Warehouse.